Topaz Labs released new DeNoise AI software with introductory pricing of $59.99 until May 3 (regular price: $79.99). DeNoise AI will work as a standalone or Photoshop/Topaz Studio plugin (similar to Sharpen AI). 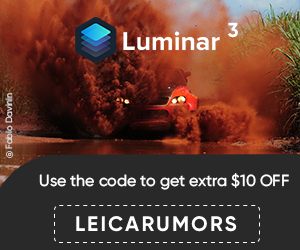 Exclusive Skylum deal: Aurora HDR 2019 for $79 for the next 5 days ($20 off). → In the Field: Leica M10-D rangefinder camera. → 7Artisan 28mm f/1.4 lens review. → Arte Di Mano Leica Q2 half case is released.